Okay.. The experience that I am about to share took place in during the month of August, 2018. 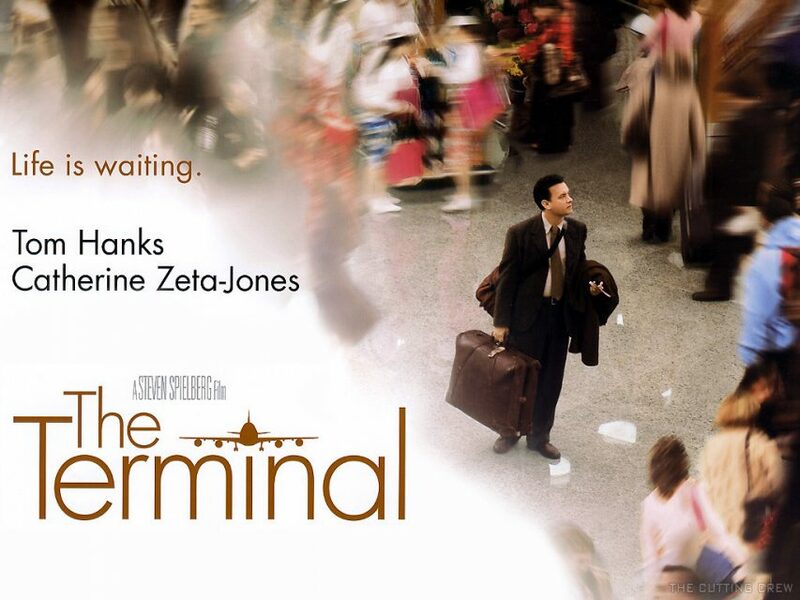 I would liken it to a faint glimpse into the life of Viktor Navorski in the movie, “The Terminal”. Name one person who doesn’t remember Tom Hanks on the wide screen running around JFK Airport speaking with a Russian accent yelling “Krakozhia “. Did you ever think that you would find yourself in such a situation? Imagine arriving into the airport of a foreign country and being told that you will not be allowed inside due to some crazy reason; that is if they even bother to give you a reason. My communication with the Ukrainian ladies on the dating site has reached a point where a face to face meeting is warranted. Can you fall in love with someone over the internet? Well, ask Tom Hanks. He certainly did in “You’ve Got Mail”. But I’m not Tom Hanks. I do not have his charm. I am Julian Pereira, a mere mortal; who endeavors to marry a beautiful Goddess. Being realistic, I refuse to get emotionally involved with someone over the internet without actually meeting that person face to face. It certainly goes against the plot of every single romance movie I’ve seen, but I still feel that I need to keep my feet firmly on the ground. In recent months, the internet has proved to be the stomping ground of scammers and I’m not ready to fall for any of that. Two days before my trip, he tells me that I should consider going some where else. I say that I want to go to Ukraine and then the day before the trip, he tells me he can’t get it. Now I’m going online to buy whatever ticket I can manage and guess what, according my last minute budget, I get a flight going via Kazakhstan. And that too to the lesser known airport in Kiev. Well no matter.. It should be fine right? Wrong..
My flight to Ukraine was long, but pleasurable. I highly recommend Air Astana.. The trip took 10 hours.. and I arrive in Kiev. However instead of letting me through, the immigration officer leads me to an office and asks me to wait. I’m exhausted and I wait. After about 45 minutes of waiting they tell me that I need to do some sort of interview. I say OK.. its fine..
During the interview, they ask me questions about my trip and I answer every one. Then they ask me to wait again. I wait for another 1 hour and then an officer calls me into the office again. He tells me that I do not have legitimate reason for visiting Ukraine and that I have no proof of correct funding. I’m sorry.. I don’t like to carry large sums of cash when I travel. I just inform my bank, I’m traveling and that’s enough. I can use any ATM.. The whole terminal movie was playing in my head that at one point someone asked me where I was from and I almost said “Krakozhia”. I was in the terminal for a little over 24 hours and then caught the cheapest direct flight back home. All the money on hotel bookings and flight tickets were lost. All in all, it has not deterred me from visiting Ukraine. I plan to visit the country in May. But this time will be with a difference. As it turns out, when I got the visa, I was supposed to keep a copy of my whole application with me just for the interview purpose. Because it was my first trip, I needed to prove that I wasn’t some kind of refugee trying to enter in under as a tourist. But all this wasn’t told to me by the travel agency. It should have, and then I would have been able to been able to have a great trip besides the air ticket fiasco. My next trip will be far better because I now have a trusted friend and ex-work colleague helping me plan the trip.